Location – Lake Griffin Harbor is situated on the southern shore of beautiful Lake Griffin, a boater’s paradise teeming with wildlife. From Lake Griffin, it is possible to explore the Harris Chain of Lakes and navigate all the way to the open waters of the Atlantic Ocean. How many other 55 communities near Ocala, FL, are able to claim such a prime waterfront location? Affordable homes – We have an excellent selection of manufactured homes for sale that are handsomely appointed, affordably priced, and move-in ready. One-, two-, and three-bedroom homes are available. Amenities – Being next to a lake, we naturally have a variety of amenities designed for those who enjoy being on or near the water, including a private marina, private boat ramp, and observation deck. We also have a pool (heated and screened), fitness center, Bingo hall, and banquet hall. 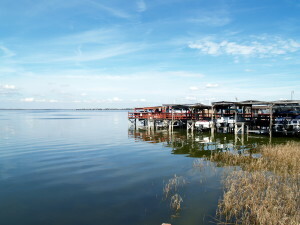 Lake Griffin Harbor is one of the premier 55 communities in or near Ocala, FL. To learn more, please contact us today. We are one of five Blair Group-owned 55 communities in Florida.